trust and, as a consequence, acceptance of systems will be the key to create substantial and sustainable market penetration of autonomous driving. For creating trust and acceptance a human centric approach will not be enough, since this might lead to correct actions and decisions in a technical sense, but does not consider the human expectation. This might lead to mistrust the technical system. Therefore, at VIRTUAL VEHICLE we focus our research on helping our costumers to create HUMAN-LIKE systems, which are systems whose behaviour is understandable and traceable. 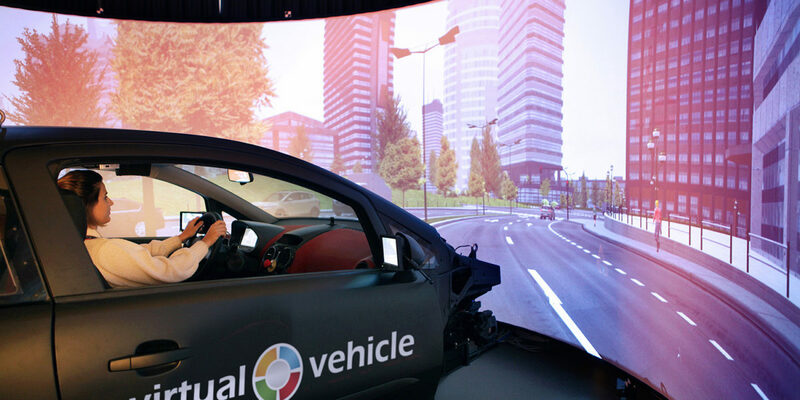 VIRTUAL VEHICLE is currently expanding its simulation environment towards the possibility to simulate new developments for automated driving in a complex environment taking into account the awareness of the driver and other drivers and pedestrians (Fig. 1). 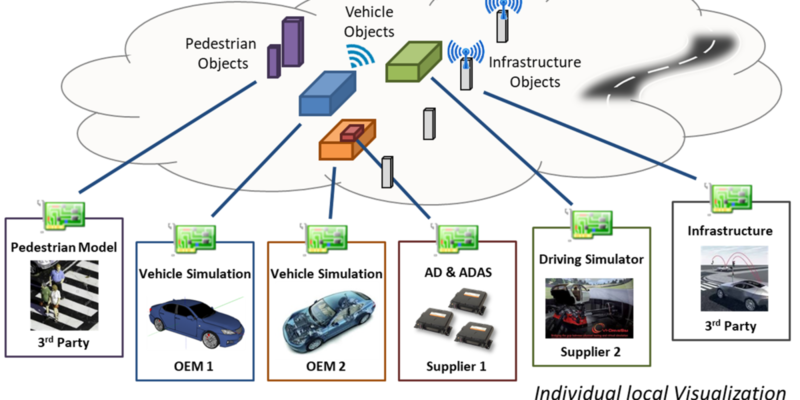 Figure 1: Simulation environment for ADAS functionalities: Objects are linked and assessed in a cloud and results are passed to the individual players in automated driving. The human centric needs for safety and comfort in a setting, in which drivers will be confronted with other tasks than simply driving the car (working, relaxing or being entertained) will be addressed in accepted systems only via trust (Fig. 2). Human-like systems will be key to create trust and acceptance. Tutoring the driver towards context- and situation-based interaction with automated systems is another central building block. 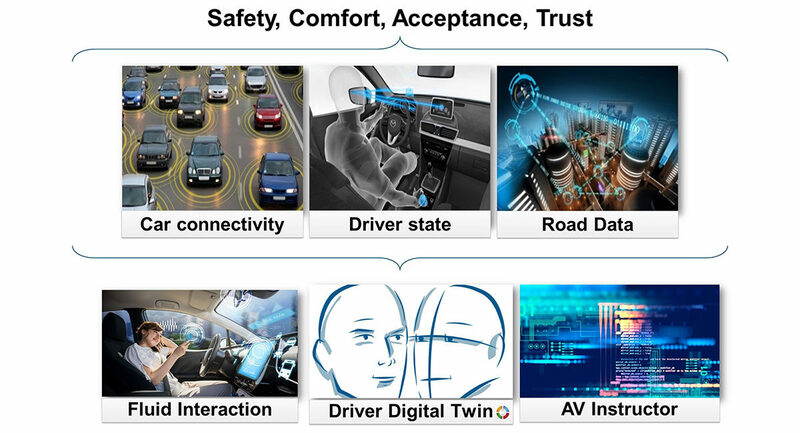 Figure 2: Drive.LAB is intended to address human-centered needs like safety and comfort, while creating trust and acceptance even in complex traffic scenarios. The tutoring of drivers to interact with automation is another feature that is offered by Drive.LAB. communications; (ii) control management, including transitions of control (take over and hand back) across different levels of automation; (iii) tutoring of native manual drivers towards increasing automation levels. AV Instructor: is used to evaluate the performance of self-driving vehicles with respect to driving style in simulated and real environments.